The Offshore Technology Conference (OTC) is an annual event where energy professionals meet to advance their scientific and technical knowledge related to offshore resources in the fields of drilling, exploration, production, and environmental protection. The Offshore Technology Conference (OTC) celebrates its 50th anniversary this year, commemorating its founding in 1969. The conference will take place May 6–9 at the NRG Park in Houston, TX. The conference commences on Monday morning with “OTC’s Golden Anniversary Opening Session: The Next 50 Years of Offshore Developments.” This session will feature executives from Total, TechnipFMC, Siemans, BP, and other industry-leading companies. The speakers will share their vision for the next 50 years and explore how their organizations are preparing for the new era of digitalization and machine learning. The technical program promises to be its most innovative yet, thanks to the dedication of volunteers from each of OTC’s sponsoring organizations. AIChE’s program subcommittee has planned two luncheons and many technical sessions spread across all four days of the conference. Session topics will emphasize the important role of chemical engineers in the advancement of offshore technology and oil production, not only in the past 50 years, but in the next 50 years, too. AIChE’s programming will kick off on Monday morning with a session on advances in subsea production and processing technologies. These presentations will discuss the technology that is expected to sustain subsea operations and provide opportunities for growing the subsea sector. A special afternoon program will highlight French contributions to the technological advancements, from Jules Verne’s dream of the Nautilus to the new offshore frontiers. This discussion of past achievements and present and future technical issues is part of the Around the World Series, where industry leaders will examine the latest developments in their home countries. Speakers will also represent Norway, Australia, Mexico, Canada, the U. K., Israel, Ghana, and Guyana. Wednesday will pack in a full day of programming from AIChE, including two luncheon sessions and five technical sessions. Topics to be covered include gas hydrate production, topsides, floating liquefied natural gas (FLNG) technology, and flow assurance. AIChE’s programming will wrap up on Thursday morning with a final session focusing on recent advances in chemical-enhanced oil recovery. This session will be chaired by Lirio Quintero, AIChE’s new member on the OTC Board of Directors. In addition to these exciting discussions from AIChE’s program subcommittee, the 2019 OTC will feature technical sessions sponsored by other founding societies and special programming on marine renewables, as well as special events highlighting OTC’s 50th Anniversary, including the OTC Golden Anniversary Gala Dinner fundraising event on Sunday evening. AIChE members are eligible for reduced rates on OTC registration and proceedings. Be sure to indicate your AIChE affiliation on your registration form. We would love to meet you during your visit to OTC 2019. Please stop by the AIChE booth, located in Sponsors’ Row, outside of the Exhibit Hall. To view the full program and events, check out the OTC website at 2019.otcnet.org. The HydroSense 4410 oil content monitor (OCM) detects petroleum and/or other oils in water in real time during process operation. The sensor can perform both fluorescence and light-scatter measurement techniques simultaneously. Fluorescence responds to dissolved hydrocarbons in water and correlates to total oil measurement. Light scattering is used for turbidity indication or detection of free oils of any type. The assembly communicates with the controller via a wireless Modbus interface. The monitor is easy to calibrate with a menu-driven four-line display and has up to five calibration points for accurate data collection. 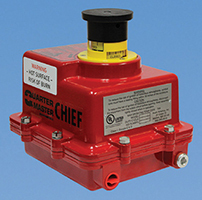 The sensor block can be located up to 1,200 m away from the controller to enhance operator safety. A compressed air inlet on the sensor block allows operation in environments prone to condensation. The monitor operates between 2 psig (14 kPa) and 300 psig (690 kPa) and has a minimum inlet flowrate of 1 L/min at 2 psig. It is suitable for operation at ambient temperatures of 5–55°C (32–130°F). The enclosure is available in polycarbonate, Type 316 stainless steel, or Type 4 coated steel with an Ingress Protection (IP) 65 rating. The monitor meets Compliance, Safety, Accountability (CSA), American National Standards Institute (ANSI), International Electrotechnical Commission (IEC), and UL standards. It is also available with a purge/pressurization system for Div. 2 and Zone 2 installations. A scale/algae inhibitor module is available for use in untreated waters. The upgraded Autonomous Inflow Control Device (AICD) is a cost-effective solution for water management in horizontal wellbores. It features a sensitive control path that can detect the differences in physical properties between oil and water, so it can selectively choke water but not oil (with a minimum viscosity difference of 1 cP). It has a choking efficiency of up to 95% and runs fully automatically with no need for hands-on operation. The device has an operational viscosity range of 1.5–500 cP and a flowrate range of 25–400 bbl/day. The mechanical design has no springs or electrical components, which reduces maintenance requirements. Models 637A06 and 638A06 case-isolated, integrated-circuit piezoelectric (ICP) accelerometers are designed for use in low-temperature applications such as cryogenic centrifugal and reciprocating pumps. Model 637A06 has a top exit and a female mounting thread, and Model 638A06 has a side exit and a male mounting thread. Both models feature specialized cryogenic circuitry and quartz shear-sensing technology to promote operational longevity in extremely cold applications down to –320°F (–196°C), and they have a low temperature coefficient of sensitivity to ensure accurate measurements throughout the operating temperature range, up to 250°F (121°C). The accelerometers are isolated to prevent noise issues and interference caused by ground loops. The welded, hermetically sealed Type 316L stainless steel housing and two-pin MIL-C-5015 electrical connector can withstand harsh industrial environments. Various cable assemblies are available to meet different setup requirements. The devices are suitable for liquefied natural gas (LNG) processing and handling of argon, helium, hydrogen, nitrogen, and oxygen gases. 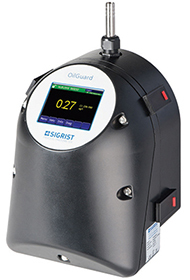 OilGuard 2 W monitors traces of oil in surface water, process water, and wastewater. It detects oil in a free-falling stream of water, which eliminates contact between the water and the device’s optics. This reduces maintenance requirements and ensures that dirt on the window does not cause false readings. The monitor can be recalibrated without chemicals using a secondary standard solid reference; optional automatic recalibration is available. The monitor can detect concentrations of oil down to 0.1 μg/L (ppb). And, concentrations up to 500 mg/L can be detected with 0.01 μg/L (ppb) resolution. Sample intake is ≥3 L/min at atmospheric pressure between 0°C and 40°C. The housing is made of Type 316 L stainless steel and polyvinyl chloride (PVC) and features an Ingress Protection (IP) 54 rating. The instrument is operated via a 3.5-in. touchscreen and communicates via Ethernet, Modbus TCP, Profibus DP, or Modbus RTU. The Series 92 electric actuator can be used to drive butterfly valves, ball valves, and multiturn diaphragm and gate valves in a variety of oil and gas applications. The newly acquired UL1203 explosionproof rating signifies its resistance to weather and harsh and hazardous environments. Two limit switches are mechanically set for fully open and closed positions. Accessories such as 4–20-mA positioners, single and double extra limit switches, heater and thermostat, and two-wire control relays can all be factory-installed and calibrated for the low-voltage/low-current actuators. The actuator features a permanently lubricated gear train and hardened steel spur gears. The enclosure is a die-cast aluminum alloy with a thermally bonded powder coat finish. It is bolted together in two sections by eight hex-head cap-screws and fitted with an O-ring between the two halves. The actuator’s rugged construction, low-current motor, and customizable options make it suitable for the oil and gas industry. The UPF-SauKuL and UPF-CCV-844 coalescence filters can be used on combustion engines up to 500 kW and 32 MW, respectively. The filters have an oil-mist separation efficiency of 99.5% with less than 5 mg/m3 residual oil content after filtration. The filters can separate droplets as small as 0.1 μm. The SauKuL filter is made of a high-strength glass fiber material for blow-by operations with volumes up to 15 m3/hr on engines with closed crankcase ventilation. 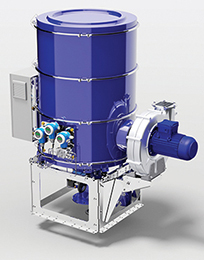 The CCV-844 filter is made of a steel housing for blow-by operations with volumes between 250 m3/hr and 1,000 m3/hr. This larger filter system can be used for engines starting at 5 MW with both closed and open crankcase ventilation systems. These oil-mist separators are easy to maintain and have filter change intervals of up to 32,000 hr, depending on the model. The filters have ATEX, Germanischer Lloyd (GL), and RINA Type approval options. The CXT gas detector is designed for use in industrial environments and includes an electropolished Type 316 stainless steel housing and fully encapsulated electronics with dual-layer surge protection. This design virtually eliminates the threat of outside damage to internal components from water ingress, corrosion, vibrations, and transient spikes. The gas detector can be powered by disposable or rechargeable batteries that provide up to 34 months of continuous operation on a single charge. It is available with either an infrared (IR) or an electrochemical sensor; the IR sensor monitors combustible hydrocarbons and the electrochemical sensor monitors toxic gases and oxygen. The detector uses WirelessHART network topology that allows each device to operate as a repeater within the network, ensuring redundant and reliable communication at all times. 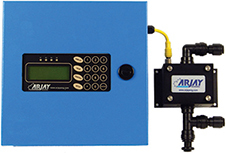 The detector is easily integrated into an existing WirelessHART network and has ATEX, IECEx, HART Foundation, and Compliance, Safety, Accountability (CSA) approvals. The device operates at a frequency of 2.4 GHz and has line-of-site communication capabilities of more than 0.4 miles. Without thermal insulation, cold seawater rapidly cools the oil in offshore operations, forming hydrate or wax blockages and making it impossible to attain a safe flow. This rubber thermal insulation material is vulcanizable at low temperatures. The environmentally friendly, two-component material cures without the need for external heat or energy and has a service lifetime of at least 30 years. The material consists of a single layer of non-silicone rubber. It is usable at temperatures up to 180°C and is applied on-site using a mold-free lay-up process from extruded strip stock. The material has a low thermal conductivity of 0.16 W/m-K and high heat capacity of 2,000 J/kg-K. It does not require an autoclave for vulcanization, and it is suitable for insulating complex geometries and temperature-sensitive components. A pumpable, liquid version for hard-to-reach places and small gaps is being developed.